MISSION, KS--(Marketwire - Sep 13, 2012) - (Family Features) Comfort food is different for everybody, but the deep satisfaction each mouthful brings is the same. To warm the body and the soul on a chilly day, give your favorite comfort foods a delicious makeover with recipes that use Wisconsin-made Grand Cru Gruyere cheese. Gruyere is a great melting cheese with lots of flavor, which means you get more flavor in every bite. Instead of Swiss, try Grand Cru Original - Cured over four months; smooth, mellow, light floral notes; melts easily. 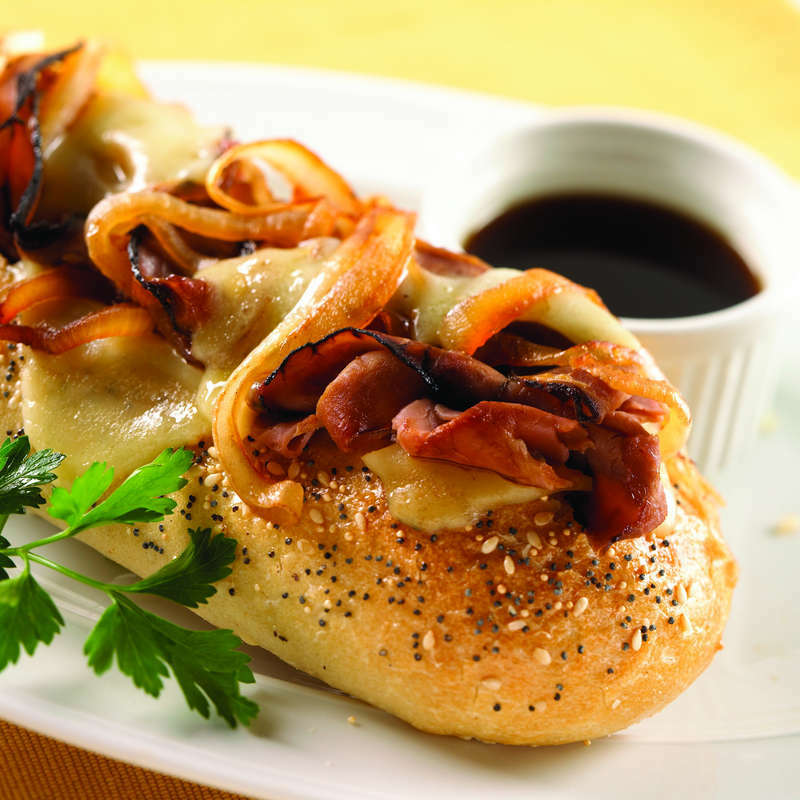 Try in fondue, ham and turkey Panini, and classic onion soup. Instead of cheddar, try Grand Cru Gruyere Reserve - Cured six to nine months; nutty undertones and hints of fruitiness. Try in omelets, quiche, and lobster mac and cheese. Instead of Parmesan, try Grand Cru Gruyere Surchoix - Cured at least nine months; firm texture, complex flavors of caramel, fruit and mushroom. Grate onto risotto or pasta carbonara. To satisfy your comfort food cravings with more recipes like these, visit www.rothcheese.com. Over medium heat, sauté onions in butter until soft, lightly browned and caramelized. Turn heat to medium-high, add Port or Madeira, and cook until liquid has almost evaporated. Set aside until serving. Split baguette down the center, leaving loaf intact. Place cheese in bottom of baguette. Top with roast beef and caramelized onions. Wrap baguette in aluminum foil and bake for 20 to 25 minutes until hot. To serve, remove foil and slice baguette in half. Serve each portion with a small cup of hot au jus or beef broth for dipping. Sauté bacon in skillet. When fully cooked, remove bacon and reserve half the drippings in skillet. Add mushrooms and cook for 3 to 5 minutes, until tender. Add leeks and cook for an additional 3 to 5 minutes. Return bacon to skillet. Season mixture with thyme, nutmeg, chives, salt and pepper; remove from heat. In large bowl, vigorously beat eggs; beat in cream and milk. Layer cheese and bacon mixture onto crust. Pour egg mixture over top. Bake for 10 minutes. Reduce oven temperature to 350°F and bake for an additional 30 to 40 minutes, or until egg mixture is set. Remove from oven and allow to cool at least one hour before serving. Season beef with salt and pepper, and form into 8 small, thin patties. Evenly place 3 ounces cheese in the center of 4 patties. Top with remaining patties, and firmly press edges to seal. Place sliders on grill. Just before sliders reach desired internal temperature, top with remaining sliced cheese and cook for 1 to 2 additional minutes, or until cheese begins to melt. Layer garnishes and bacon on bottom buns; transfer sliders to buns and serve. Place cream in large saucepan with rosemary. Add salt and pepper. Bring to boil and keep at boil until reduced by half (be patient, this takes some time). Stir in bacon and pasta and simmer until hot; add the cheese and reserved pasta water. Stir until cheese is melted. Garnish with chopped chives. Serve immediately.